Jermell Charlo was born one minute after his twin brother Jermall and is an inch shorter. 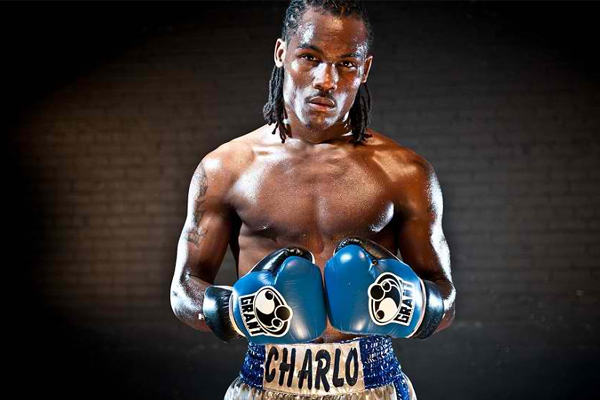 The older, taller Charlo twin also possesses the eye-popping power. Jermall’s KO of Julian Jackson last December was one of 2016’s best. It has established him as one of the sport’s hottest rising stars. But younger brother Jermell has star power of his own. And though he has knocked out just 46 percent of his opponents, he demonstrated last May that he can come up with the big punch when he really needs it, when he knocked out John Jackson while trailing far behind on the cards. That win made Charlo 28-0 and netted him the vacant WBA super welterweight belt. But that fight was nearly a year ago and Charlo has not fought since. He will finally return to action this weekend, when he faced once-beaten Charles Hatley at the Barclays Center in Brooklyn. Charlo is clearly the draw for this fight. In addition to his sensational knockout of Jackson, he has high quality, one-sided wins over contenders like Vanes Martiroysan and Gabriel Rosado. But while he might not have enjoyed the hype that Charlo has, Hatley is a contender worthy of respect. He had a very good amateur career with wins over future stars like Keith Thurman. He definitely does not have the same quality wins as Charlo does, but he has defeated veterans like Saul Roman and Anthony Mundine. Hatley’s single loss came in August 2012, to Lanardo Tyner. Tyner is essentially a journeyman, but he is a tough one. He has been in the ring with some of the best fighters in the world and fought most of them tough, never getting knocked out. A loss to Tyner five years ago is no reason to write Hatley off. A part of me would definitely like to see Charlo matched with one of the bigger names at 154 pounds. But I am also happy to see a fighter like Hatley get this kind of opportunity. He is over 30 and is finally getting a really big fight.